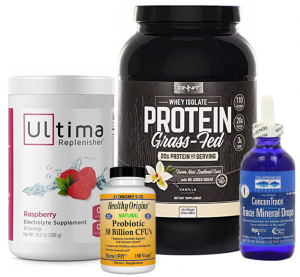 In this article you’ll learn how to alkalize your body fast, in just 3 easy steps. … and the stakes are big! STEP 1. How to Remove Acidic Foods from your Diet – which foods are most acidic. Note: If you’re in a hurry and you want a quick & easy answer to alkalizing you body fast, we recommend an alkalizing detox using our 30 Day Phit Kit. WHY DO I NEED AN ALKALINE DIET? There are 3 simple reasons why you need to switch to an alkaline diet. The American National Institute of Health reports that 2 out every 3 adult Americans (70.2%) are either overweight or are obese (1). America now ranks as the MOST OBESE NATION IN THE WORLD! Not a statistic to brag about! These are the WORST TYPE OF FOODS you can eat. Eating the wrong foods create food cravings such as foods with too much processed sugar, salt, and unhealthy vegetable oils. The portions we eat are way too large. Eating unhealthy acidic foods WILL CAUSE HEALTH PROBLEMS AND IS LIKELY TO REDUCE YOUR LIFESPAN! We will show you how to alkalize your body fast. But before we start, let’s begin with some basics to show you why it’s so important to focus on an alkaline diet. The human body is an amazing and still an enigmatic biological machine. Our body is very adaptable and can adjust to fix many of your unhealthy eating habits. But, it can only do so much. The body has many ways it adjust to unhealthy eating habits through a variety of metabolic processes. We eat to provide both energy and utilize the valuable nutrients our body needs. When too much of something is ingested, the body tries to expel the excess. This is through a variety of metabolic processes. However, the body has its limitations. When you consume too many acidic fats, salt, sugar, and high-glycemic carbohydrates – it ends up getting stored as body fat. This is why you gain weight and develop a variety of health problems. A diet which is too acidic affects the biochemistry of the body. An acidic diet affects the pH level of the body making it too acidic. This is a recipe for many pending health disasters. WHY DOES BODY pH MATTER? All substances – and this includes ALL FOOD AND DRINK we eat and drink are either ACIDIC OR ALKALINE. For those who don’t remember your basic chemistry – here’s a quick primer. The pH is measured from scale of 1-14 with 7.0 being neutral. Anything below 7.0 is considered acidic. Anything above 7.0 is considered alkaline. The ideal pH level of the human blood should be between 7.40 and 7.46. Saliva PH should be similar to the blood PH and be around 7.0 and 7.5 all day long. 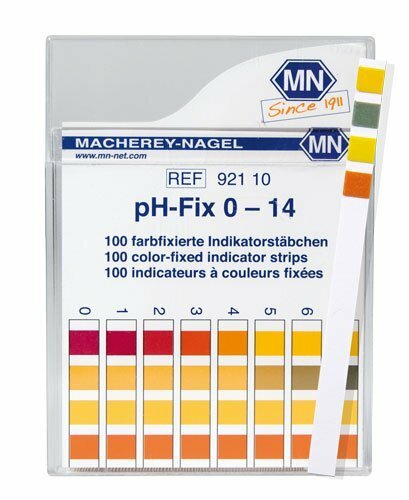 Most PH strips are hard to use accurately since deciphering between one color and the next can be challenging. This means the human body is more alkaline than acidic. When you eat foods which are too acidic the body tries to expel them to adjust excess acidity. When it can’t – it gets stored in the cells. Our ancient ancestors ate foods which were natural and more alkaline. Diets, of course, ranged from region to region. We use to eat foods which were high in potassium, magnesium, calcium, and phosphorous. The ratio of Potassium vs. Sodium use to be around 16:1. BOTTOM LINE LET’S TURN THIS AROUND AND LET US SHOW YOU HOW TO ALKALIZE YOUR BODY FAST! All foods are measured by the PRAL method. PRAL stands for POTENTIAL RENAL ACID LOAD. This is the process which measures whether a food is either ACIDIC or ALAKLINE. Foods vary in their degree of either acidity or alkalinity. We don’t expect you to make drastic changes immediately. You can take charge right away and go for it! …or do it at a pace that suits you. Processed foods include all packaged foods especially such as frozen foods, salty snacks, meats, and most canned foods. Food manufacturers overload these items with sodium, salt and sugar and PERSERVATIVES (Mostly chemical names many of us can barely pronounce). Coffee and regular black tea are highly acidic. If you drink 3 or more cups of coffee a day, you will want to decrease your consumption in stages. Caffeine addiction afflicts more of you than you might believe. Reduce your coffee consumption slowly or else you might experience headaches and increased irritability. Overcooked meats tend to be acidic to our bodies. Although, when cooked rare or medium rare, they are not nearly as acidic and become far healthier for us. Bacon, ham and sausage, deli meats and packaged processed meats tend to be really very acidic. All types of sodas and pop drinks along with fruit juice are not only very acidic but also contain high concentrations of processed sugar. Many physicians refer to processed sugar as “The White Death”. It’s one of the biggest contributors to diabetes. And, I’m afraid that all alcoholic drinks are also very acidic. I know you want your calcium, but there are many other healthier foods where you can get calcium. All cheeses are very high in salt and sodium. This list also includes Yogurt, ice cream, cottage cheese and butter. This also includes eggs (It’s the yolk that’s bad for you) so opt for egg whites if you can. And, for all you pasta lovers (another foods you should avoid). Parmesan cheese is one of the most acidic foods you can consume. Many packaged cereals are unfortunately very acidic. This is because many of them tend to have high concentrates of sodium and processed flour. Wheat unfortunately is also very acidic. And, again, many wheat products are processed with high amounts of sodium and processed flour. Also very acidic, but there are some nuts which are good – we’ll tell which ones are okay later on. his includes white rice, biscuits, doughnuts, pastries and crackers. Some grains like brown rice, buckwheat and quinoa are still slightly acidic but you can still eat small and occasional portions. There are good fruits which we will mention later on. However you should know that fruits such as currants, blueberries, cranberries are very acidic. Many Oils that you use are also highly acidic including sesame, olive, safflower, corn, sunflower, avocado, and canola oil. The worst news is that this list is only a partial list because there are simply too many acidic foods to mention. A lot of the above foods which are clearly unhealthy – you can avoid altogether. Other acidic foods you can eat in moderation and occasionally. What we suggest is that is you simply eat foods which are acidic in smaller amounts and combine them with foods which are much more alkaline to balance out the acidity. BOTTOM LINE: ELIMINATE ACIDIC FOODS WHICH ARE OBVIOUSLY BAD FOR YOU. REDUCE WHAT YOU CAN FOR OTHER ACIDIC FOODS. EAT SMARTER! I would start by saying that for most of you, the following 59 foods can be used as an amazing alkalizing healthy substitute. t also helps immensely if you start to take up some type of physical activity, use stress alleviating techniques and get the proper amount of sleep you need. Here is a partial but not a complete list of some of the most powerful alkalizing foods you can eat. You can also check out their PRAL rating to find out how they stand. 1.Apples – Have lots of essential vitamins and provide pectin which is a soluble fiber to help eliminate metals and food additives. 2. Artichokes – Your liver consider artichokes as being very friendly. They also contain silymarin, a powerful antioxidant. They also include cynarin, which allows the liver to process and eliminate toxins. 3. Arugula – A leafy green which has lots of Vitamin A and loads of calcium and iron. 4. Asparagus – Contains Vitamins A, C and iron. One of the strongest foods you can eat for alkalinity. Also contain antioxidants and other detoxifying compounds. 5. Avocados – Provides lots of fiber to aid digestion and helps to flush the colon. 6. Bananas – Bananas are well known for being highly packed with Potassium and a great source of fiber. Has a PRAL Score of -6.9. 7.Basil – Truly an amazing herb which is packed with Vitamin A and K with an abundance of Calcium. One of the best herbs you can use when cooking. 8. Beet Greens – This food has an amazing PRAL score of -16.7 which ranks it as tops. Also helps to stimulate bile production to help you digest fats. 9. Beets –A powerhouse of magnesium, zinc, iron, and calcium. 10. Broccoli – Has loads of nutritional value such as vitamin C, A and calcium. This is a must add if you want to learn how to alkalize your body fast. 11. Brussels Sprouts – Loaded with minerals, vitamins and fiber. A great food to help breakdown body acidosis. 12. Cabbage – Low in calories and packed with fiber, this anti-cancer alkaline food also has lots of nutrients. 17. Cinnamon –A lovely sweet spice which also provides lots of iron, calcium, and manganese. 18. Collard Greens – A soul food staple which you should get to know and love. This powerful alkaline green is tops for its cancer fighting compounds and has whollops of Vitamin A. 19. Cucumber – A very alkaline food it is a very hydrating vegetable with lower amounts of nutrients. 20. Cumin – A very tasty spice that is really great for neutralizing the effects of acidic foods. 22. Fennel – Has a licorice-like flavor. It is also has lots of beneficial fiber to aid digestion. 23.Garlic – The health benefits of this herb have been long known. Helps to fight cancer and lower blood pressure. A very good herb to help detoxify the body. 24. Ginger – Helps to boost the body’s metabolism and flushes out waste products. An added bonus is that ginger helps to keep your appetite in check. 25. Grapefruit – Dubbed as one of the healthiest foods you can eat. You might be surprised this food is not considered acidic because it metabolizes as alkaline with lots of Vitamin C.
26. Green Beans – A great alkaline food when it comes to how to alkalize your body fast. Provides both calcium and iron along with calcium and iron to your diet. 28. Herbal Teas – A great substitute for both coffee and black tea which are very acidic. Lots of these teas also contain an abundance of antioxidants. 31. Leeks – A very alkaline food which is high in Vitamin C. Helps boost the immune system. 32. Lemon – This must also come as a huge surprise because it tastes so bitter and seems so apparently acidic. However this odd seeming fruit also metabolizes as alkaline and is good source for Vitamin C.
33. Lentils – Very popular with Vegans who know that Lentils have lots of vitamins and minerals but also an abundance of fiber. 34. Lettuce – Not high in nutritional value but does have a helping of phynutrients and is very alkaline. 35. Lima Beans – A great source of Iron and Vitamin C these beans are very alkaline and counter the effects of acid forming foods. 36. Mint – A great herb to add to any dish and very detoxifying. 37. Mustard Greens – This leafy vegetable has lots of antioxidants, fiber and anti-cancer properties. 38. Navy Beans – Very alkaline with lots of iron and a good amount of fiber. 39. Okra – Contains lots of Vitamin C and smaller amounts of Vitamin A and Calcium along with minerals and vitamins. 40. Onion – Of Course! Also well known through the millennia as a health food with lots of healthy benefits and very alkaline. 41. Parsley – Another great herb to give your meal some added flavor along with getting a secondary boost of alkalinity. 43. Peas – A great alkaline food which is extraordinarily high in Vitamin C and healthy levels of Iron and Vitamin A. 44. Peppers – Keeps your pH in the alkaline level and is a great source for Vitamins A and C. Applies to all colors of peppers including red green and yellow. 45. Pineapple – Has loads of bromelain which is an amazing digestive enzyme that works to cleanse the colon and rid harmful bacteria. 46. Quinoa – A very versatile food which is little known with amazing health benefits and very alkaline. Can be used an alternative to grains and rice. 47. Radish – A really good alkaline food which also aids if regulating both glucose levels and blood pressure. 48. Red Beans – Also known as kidney beans, this healthy bean is a good source for fiber and is surprisingly high in vitamins and minerals such as iron. 49. Soybeans –A well know health food which is great meat substitute for protein, calcium and iron. 50. Squash – Has loads of vitamin A but also an abundance of other mineral and nutrients along with its alkalizing effects. 54. Thyme – Some folks call this a ‘super spice’ (but it’s really an herb) that has wonderful effect on the respiratory system and lots of antioxidants. 55. Tomato – Known to aid the heart because it has lycopene and is not acid forming as many people might think. 57. Watercress – Full of vitamins and packed with nutrition it is also considered to be very alkaline. 58. Wheatgrass – Popular for making green smoothies and well known with the health food crowd. BOTTOM LINE: REPLACE ACIDIC FOODS WITH THE ALAKALINE FOODS SO YOU CAN KNOW HOW TO ALKALIZE YOUR BODY FAST! 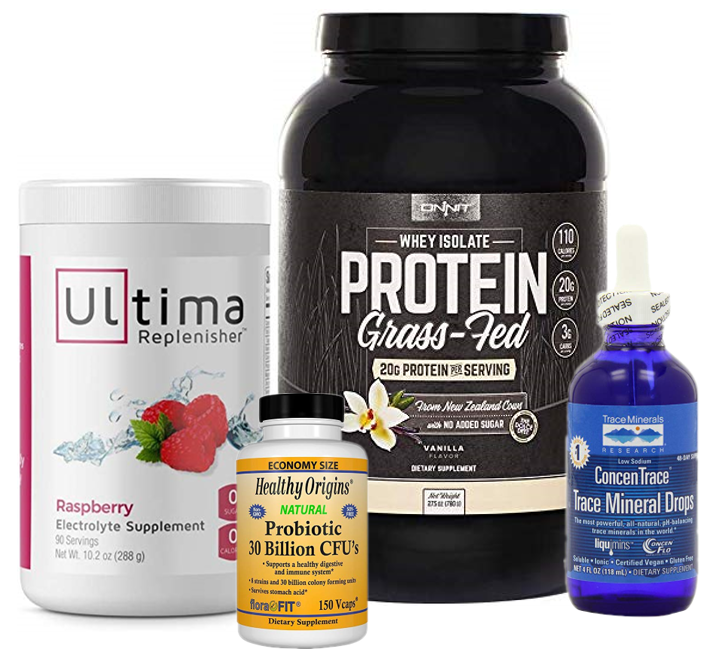 These supplements and products will help increase the alkalinity in your body. They will help put on the fast track to eliminate acidosis and improve the alkaline pH levels in your body. There are several different types but they all can help you learn how to alkalize your body fast! Baking soda is a cheap and effective way to alkalize your body. The reason is that baking soda is strictly alkaline. Sodium Bicarbonate, Baking Soda (32 oz 2 lb) Highest Purity, Food Grade, Eco-Friendly Packaging (Also Available in 4 oz, 1 lb, 5 lb, 50 lb) Full Disclosure: We earn a commission if you click this link and make a purchase, at no additional cost to you. 2. Green Food Powder There are many different types of green powder. What is green powder? Most of the green powders are made using spirulina or chlorella algae. They are combined with different types of grasses. These include wheat, barley or alfalfa. Magnesium is an essential mineral to our bodies and very few people get enough in their diets. Magnesium is also an exceptionally alkalizing mineral. 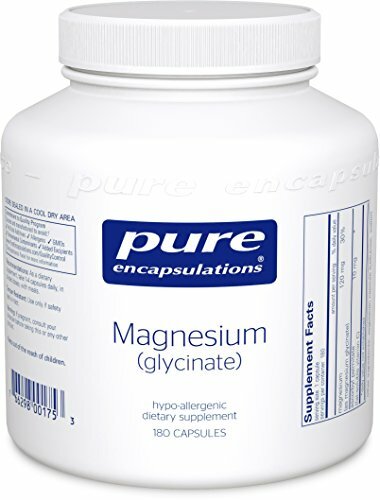 Taking Magnesium supplements can help to greatly neutralize acidosis in your body. Often times the reason people get headaches or muscle cramps is due to a lack of adequate magnesium. 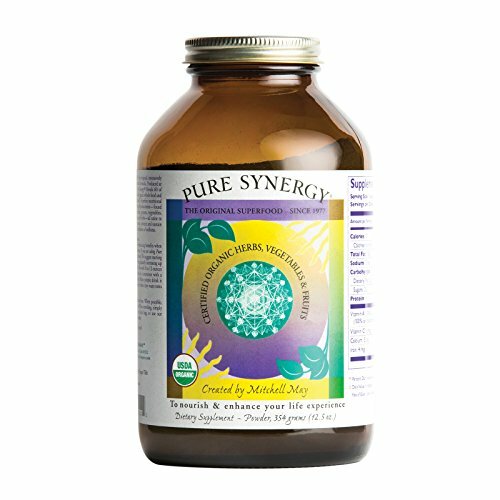 We require minerals and trace minerals to carry our hundreds of important functions in the body. Minerals are one of the best ways to naturally alkalize your body! ConcenTrace provides you with a full spectrum of the same bioavailable ionic trace minerals found in nature. ConcentTrace Trace Mineral Drops Price: $14.99 Our #1 recommended product for weight loss and alkalizing the body. Alkalize and detox your body (and lose weight) with our 30 Day Phit Kit. Click here for more info.